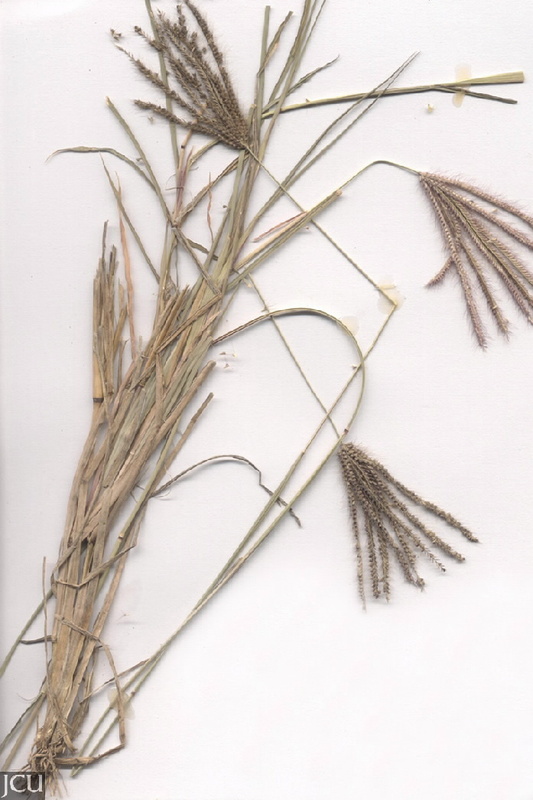 Grass to about 1 m tall. Ligule usually hairy. 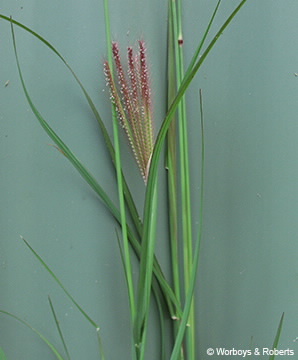 Inflorescence of 2-15 spikes, purple; spikelets overlap in 2 rows on one side of the rachis; 3-4 awns per spikelet, at least twice the length of the spikelet.